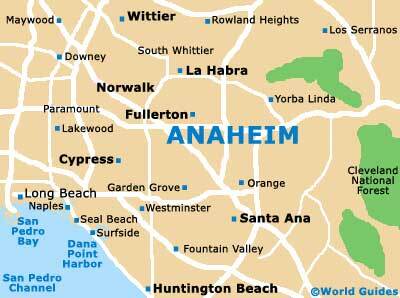 Anaheim has everything a shopper could want, offering upmarket shopping malls, plazas and shopping gallerias to specialty stores and bargain centers. If you are here for antiques, Anaheim's Historical District has numerous outlets and galleries, while most of the bigger shopping malls are out of town or in Santa Ana. Most shopping malls, plazas and gallerias in Anaheim open at 09:00 or 10:00 and continue trading until 21:00, while local stores and specialist shops in the city usually keep regular hours between 09:00 and 17:30. More and more stores in Anaheim are opening their doors on Sundays and Anaheim's shopping malls also observe half-day Sunday opening hours. The Anaheim Indoor Marketplace is the place to go for bargains and there are more than 200 stores here selling items including quality, brand name products such as sneakers, electronics, jewelry and souvenirs. If you are looking for jewelry and ethnic niceties, head for Little Saigon and the Asian Garden Mall, featuring over 400 ethnic boutiques, Orange County's largest jewelry center and many restaurants. The Block at Orange boasts some interesting, well-known stores as well as a huge entertainment complex featuring a 30-screen movie theater. Outlets include: Hilo Hattie, Ron Surf Shop, Vans Skate Park, Dave and Busters, The Power House, Wolfgang Puck Grand Café and the Café Tu Tu Tango. Orange County's version of Rodeo Drive in Beverly Hills contains some hip stores and restaurants as well as funky entertainment. South Coast Plaza encompasses two enclosed malls that also have banks and art gardens. There are more than 200 stores and dozens of restaurants at Fashion Island, which also sees much in the way of entertainment and festivals. Well known events here include Project Playhouse, Race for The Cure and the Tree Lighting Ceremony. There are also two cinema complexes here. MainPlace Shopping Plaza is known for its attention to detail and customer service, which includes valet parking, parking services for pregnant women, shopping assistance and a Westfield Playtown center. The Historical District offers unique shopping opportunities including many antique stores, art galleries and souvenir shops, and plenty of areas to relax and take in the surroundings.